conductors up to nine ends. 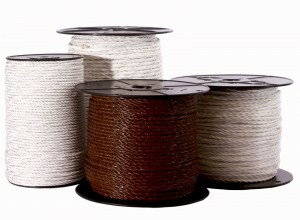 Poly wire is 1/8″ diameter with 3 or 6 ends of 7 mil stainless steel wire and 18 ends of 15 mil polypropylene. 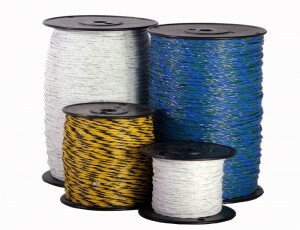 Poly rope is 1/4″ diameter, twisted using bundles of polypropylene with 9 ends of 12 mil stainless steel wire. 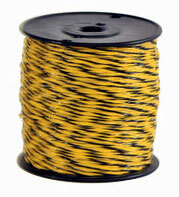 Call our sales staff for ordering and pricing information.